Looking for a firearm or accessory? Order online and have it shipped to our store! Eagle Eye USA gun shop is proud to carry a full line of hand guns, rifles, silencers, scopes, and accessories. Looking for the perfect gift? Eagle Eye Gift Certificates are now available! Contact Us for more information. See an item, that we do not have in-stock? Order online, delivered to our store! Eagle Eye USA gun shop is proud to carry a full line of NEW & USED hand guns, rifles, scopes, and accessories. Bought a firearm online and want to transfer to our store? We are happy to do so.  Please email us at transfers@eagleeyeusa.net to give us your contact information, what type of firearm, and where it is coming from. That way when it is delivered, we know who to contact. Please give us 24 hours after delivery of firearm to do our paperwork.